The amount of drugs I have consumed since the accident is ridiculous. To say I’m not grateful for their effects would be completely untrue, but now, as I’m recovering…the holistic hippie in me shudders at the amount of drug toxins in me. However, part of my healing journey involves being as holistic as possible with recovery. I’ve been doing lots of things (you can read about them here) including changes in my diet and some “detoxing” practices. I recently just started doing some research about drybrushing. I’ve had one for a while and I was mostly using it as way to exfoliate and keep my skin smooth, but the more I’ve been reading…the more impressed I am to use it for health reasons. 1. It detoxes and cleans the lymphatic system – Lymph is an enormous part of the immune system (we have more lymph than blood!). Lymph is full of lymphocytes (i.e. white blood cells) and interstitial fluid. These are the two elements that carry out waste and bring nutrition to the body. This is where the detoxification process FIRST takes place. 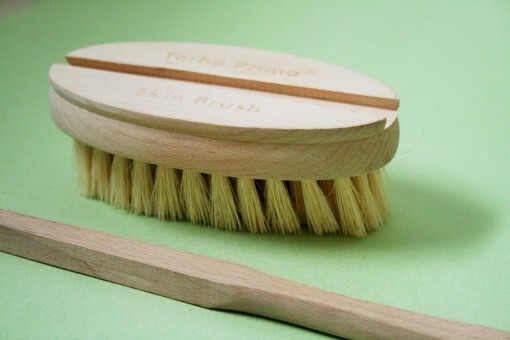 When we drybrush we’re actually helping the lymph move and speeding up the process. 2. It allows your skin to breathe – the act of drybrushing literally opens your pores by the act of unblocking them. Honestly, it’s the most amazing thing – the more you do it, the more silky smooth and tight your skin gets! Nothing works better than shedding those dead skin cells! A lot of people say that it greatly reduces cellulite! As you get rid of dead skin cells, the new layer of skin underneath begins to surface. Your skin is your body’s largest organ, with that in mind a few minutes of a day can be spared. 3. It increases your circulation – this, in turn, encourages your body’s discharge of metabolic wastes and any other un-removed waste excreted (like when we sweat). Increased blood flow begins entering the areas brushed, which you can literally feel when you brush. For a lot of people, it’s an energizing morning ritual. This is the brush I use and highly recommend. It can be just a hand-held brush or you can slide the handle back in and use it for the hard to reach places like your back. There is a bit of a science in the direction and order you brush, so check out How to Drybrush at MindBodyGreen. Here’s to a healthy lymph and smooth skin! 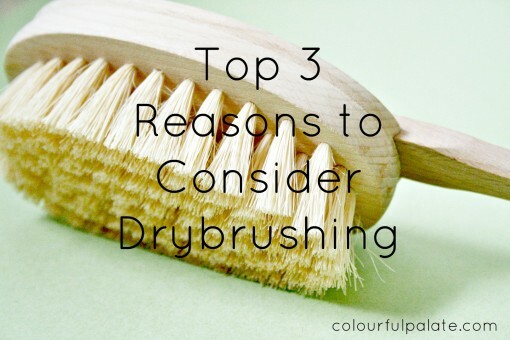 Have you tried drybrushing? Any tips to share?